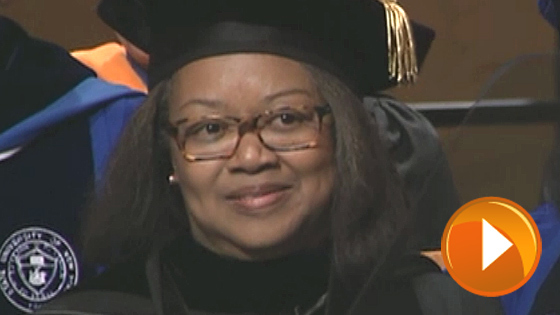 The inauguration of Buffalo State President Katherine S. Conway-Turner was celebrated with a packed schedule of activities from October 14 to October 21. 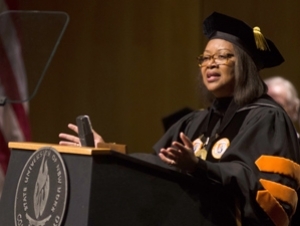 Beginning with the Student Union Bash and concluding with the formal inauguration ceremony, Buffalo State’s Inauguration Week offered a number of transformational events. Relive the excitement of Inauguration Week—or experience it for the first time—through a series of photos and videos. Get ready to be inspired and witness Bengal pride in action! Video: Niagara Falls goes orange to commemorate inauguration. Read President Conway-Turner's inaugural address.